We’re delighted to announce that BookingBug, a complete online scheduling platform for small businesses is now fully integrated with Sage One. The two systems are seamlessly integrated meaning you can now use BookingBug to manage your schedules and payments and then the payment and customer details will automatically appear in Sage One Accounts without re-typing all that data. The BookingBug tool allows you to take bookings and payments through your website or Facebook page and is suitable for an impressive number of industries. You can even manage your appointments and payments on the go using the BookingBug mobile apps for both Android and iOS. When your customers make a booking you can configure BookingBug to send out SMS & Email confirmations and to reduce ‘no shows’ you can set up reminders and follow ups to be sent. BookingBug have also extended the core service offering and provide a number of advanced add-ons to help you manage existing customers, attract new ones, run marketing campaigns and promotions and analyse your data effectively. So, if you manage classes or courses, are involved in rentals, manage a salon or need to take appointments for any need, then I highly recommend you take a closer look at BookingBug. 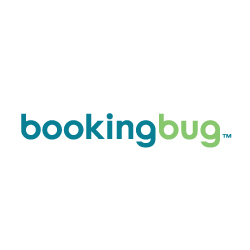 BookingBug step-by-step guide > How do I integrate BookingBug with Sage One?